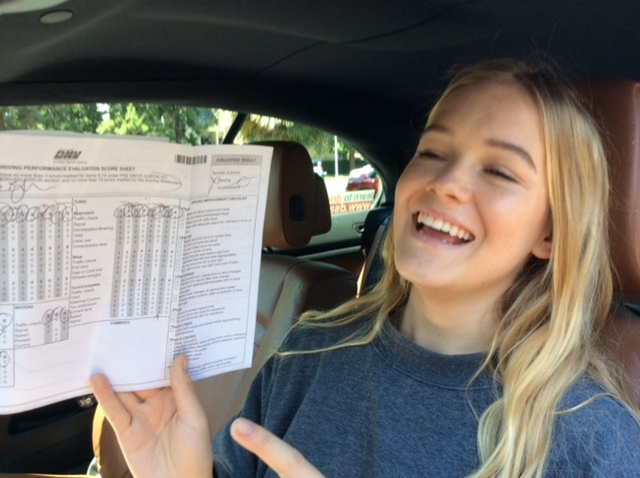 Faith Schroder of Growing up Super Model, just proved that she is a Super driver and got 100% on her drive test. Nothing but striving for Excellence is what she proved she is about. Welcome to the Exclusive Club 100 you got your first Oscar in driving. Congratulations and remember always drive safely you have great things to accomplish ahead.